The first morning I was in Ft. Lauderdale, I hit up the hotel breakfast buffet. Not only was the ticket $15.95 for a mediocre selection of breakfast foods, but the coffee was awful. I admit that I am a bit of a coffee snob, but I do not generally make a big deal about it. I will usually drink whatever coffee is at my disposal with little to no complaint. The coffee at the hotel, however, was just not acceptable. 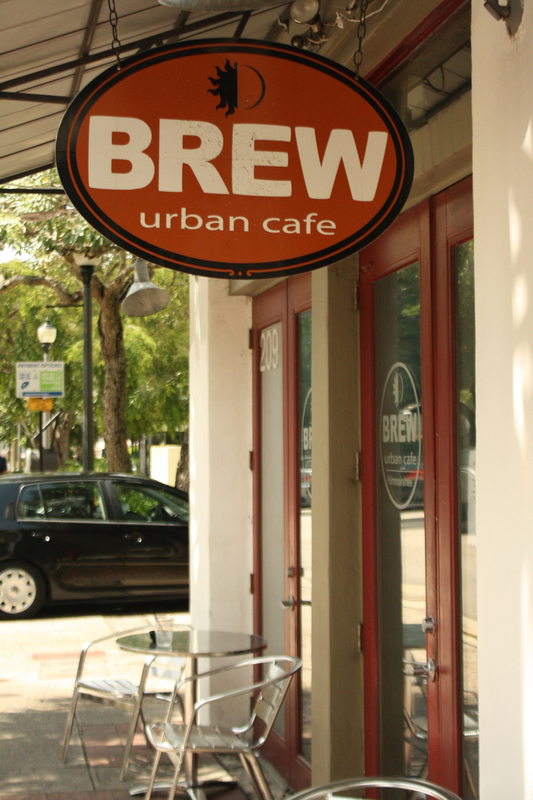 Venturing out with my guide to Ft. Lauderdale, I made my way to Brew Urban Cafe. Located near the riverfront and several parks, this is a pretty awesome coffee shop in a really neat part of the city known as the Himmarshee District. 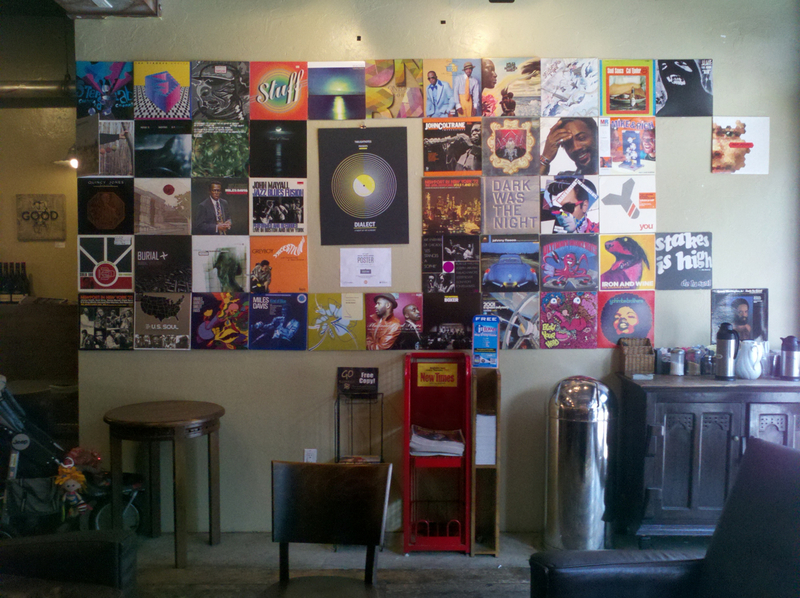 With artwork from various bands on the wall and a flat screen television hanging from the ceiling, the interior of the coffee shop is not nearly as sterile as larger chain coffee shops, but also not as hipster as some local coffee shops can often be. Even though I love the ambiance of coffee shops, it is the coffee that I care about the most. My first coffee at Brew Urban Cafe was the “Good Karma,” natural vanilla infused espresso with caramel glaze. If the cliché that “what goes around comes around” is true, I want to send out whatever vibes will bring this coffee back to me. Perhaps the “good karma” was that after drinking this coffee, I actually returned two more times over the next few days for more delicious coffee. The day after enjoying some Good Karma, I tried the “Electric Shock,” a beverage made with cinnamon, vanilla, caramel, and espresso. 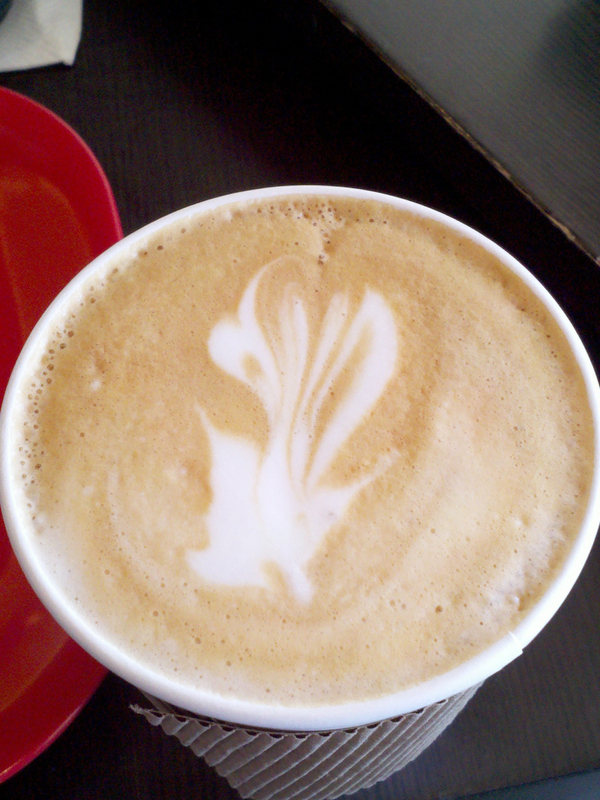 Not only was the coffee rich and creamy, the coffee was also beautiful. 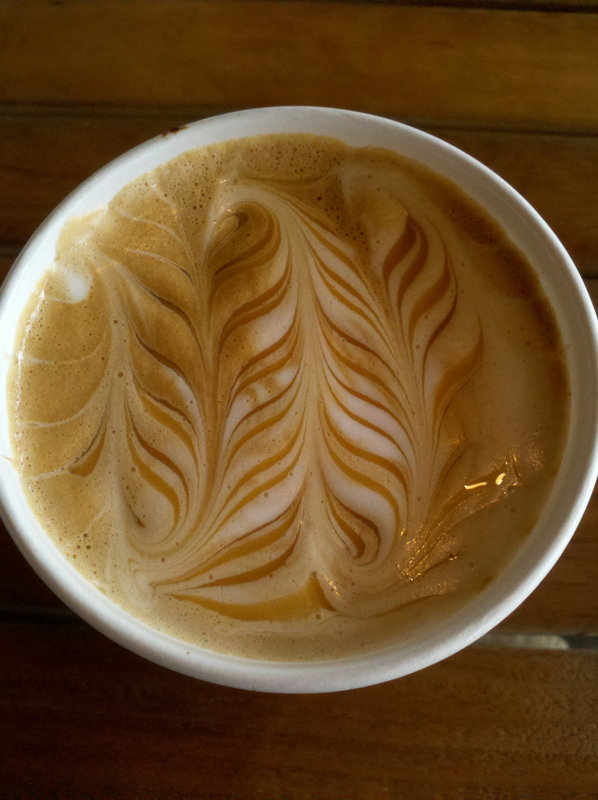 Kudus to baristas who truly make coffee an art. 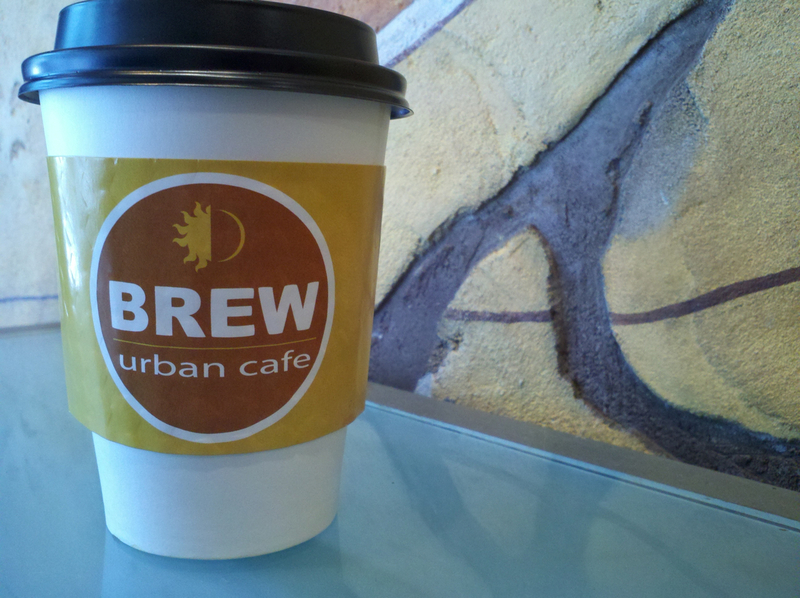 On my last day in Ft. Lauderdale, I went to Brew Urban Cafe one last time. This time I decided to go with a classic coffee beverage — the Cappuccino. 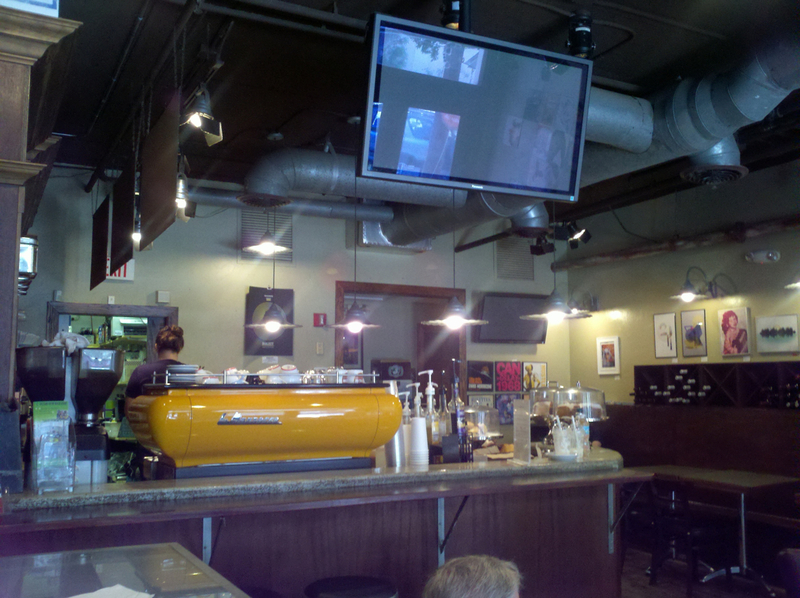 If I ever end up in Ft. Lauderdale and need a pick me up, I’ll find my way to Brew Urban Cafe, pull up a chair next to the espresso machine that looks like an Italian sports car, and order up some Good Karma, Electric Shock or a traditional coffee beverage. 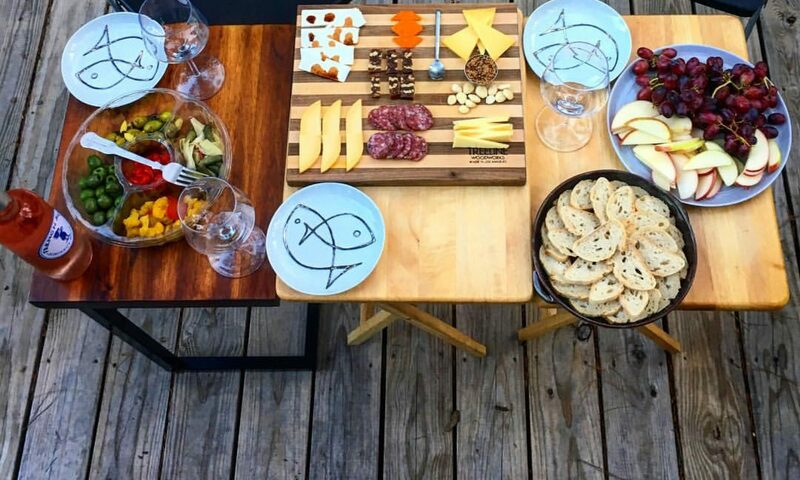 You should absolutely check it out next time you are in Ft. Lauderdale. There is a second location on US-1 at Victoria Park. The coffee shop at that location doesn’t have the same feel, but the coffee is just as good and parking is a little easier to find.